What is the best way to create a career in film editing from scratch? A step by step film school curriculum: Practice, Theory and Industry preparation. Should I go to film school? Is film school worth the money? What is the Best Film School for Film Editing? These are the kind of questions that anyone pondering a career, or a career change, into film editing may well ask themselves. If the goal of film school is to get you ready for a career as a working professional in the industry, is it still the best way to go about setting yourself up for, and breaking into, film editing? One shortcut into the industry is available to the lucky few who might personally already know an editor, just ask if you can follow them around for a while and become their indispensable assistant. Hoover up as much knowledge as you can by osmosis and just don’t leave. Who you know is more important than what you know. You can learn the rest on the job. But, if you’re not in that fortunate situation and you’re thinking of going the more traditional film school route, might there might be a better way? I question whether I would recommend someone go to film school today and if not, what would I suggest instead? I had a great time, learned a lot and met some life-long friends. In fact, as I mention in my ebook on being a creative freelancer, now that I’m 10 years in to a satisfying career as an editor, it all happened in part because I went to film school. I got my very first editing gig because a friend from my course, who just gotten a job at a post house, got me an interview when they were looking for more people. Who you know is really important. But if I think about the investment I made; three years and £3,000 of course fees, plus living expenses that came to about £15k in total over three years. Today those same course fees are £27,000 for three years. Is there a better way to leverage that time and money? So running with that thought experiment, here is my suggestion for an alternative film school for film editors, with a detailed breakdown of what I would do and how I do it. Plus what it would cost. Download this spreadsheet to get the ‘shopping list’ of gear, online courses, films, books and TV shows that make up my Alt-Film School and to see what it’s possible to create for under $9,000/£7,000 and have everything you need to start working as an editor once your training is complete. Then read through the rest of this page to get my explanation of each part of the curriculum in detail, as well as a few extra resources, promo codes and more ideas along the way. Use these quick links to jump right in, or just scroll down. Before we get started first of all it’s important to point out it’s difficult to know if one route really is better than another – we can’t live the same life twice! So there’s no guarantees with this thought experiment. It’s just a potential alternative to film school that might suit some people, or give them an opportunity that they can’t otherwise afford. That brings me to the second point. You have to decide if Film School is for you based on your personality, how you work and whether you’ll more greatly benefit from the structure, guidance, community and creative collaboration it will hopefully surround you with. Or if you are able to motivate yourself, create new connections, take on, run with and complete your own projects and demonstrate some creative and entrepreneurial flair along the way. Which ever option you choose you’ll need to be disciplined, committed and show up every day looking to learn. So for this thought experiment to be plausible, it’s important that we find ways to still gain the benefits that film school presents, but outside of the higher learning environment. Let’s take a look at one possible approach to learning how to edit and become a working editor for less than the cost of film school, and get more out of the time and money in the long run. First of all it’s important to set the scene of what film school does give you and how we can match or better that. We also need to remind ourselves that to decide to be a student is generally to decide to stop working, pay someone else to learn from them and live a fairly frugal and humble life in the process. Our Alt-Film School may well require some of those same commitments, depending on your personal circumstances, but as part of ‘besting’ film school, can it be done, part-time, or even gradually over a long period of time, if income and employment are necessary parts of your ‘student’ life? Comprehensive and well thought out education. Friendships and future industry contacts through your classmates. You often have to move cities – usually to a place of future work (London, NY, LA or a big city with a creative centre). You get to try numerous different production roles and discover things you love that you may never have considered. 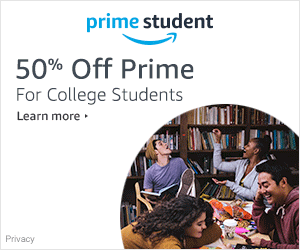 Watch, study and critique a wide variety of films. A community of peers and collaborators. Access to mentors, experienced artists and alumni. Most good film schools offer a mix of both film theory and practice. As we’re focusing on film editing it makes the job a little easier, but to round things out a little I’ll try to offer suggestions for a broader film education too. Learning the nuts and bolts of editing. Actually editing – as much as possible. Receiving critical and constructive feedback on that work so you can improve your craft. Understanding the fundamentals of other roles and disciplines as part of the film making process. Understanding film structure, storytelling and grammar as it relates to editing. Watching a lot of films from a diverse range of countries, genres, eras and budgets. Critiquing and understanding film theory essential concepts based on that broad film diet. As a ball-park for what Film School does cost and what our rough budget is I’ll stick to just course fees, and let you sort your living expenses yourself. As I mentioned above, a student life is a massive investment in time and money and often requires not working to engage with it full time. So what does film school cost? My degree from the University of Westminster is 3 year degree at £9k a year, so £27k/$35,600. University of Southern California (USC) is $52,000/£40,000 a year. New York Film Academy, 1 year course is $28,000/£21,000. There are hundreds of film schools across the globe to choose from but this at least gives you a quick sense of the kind of costs involved, and produces a wide spectrum of expense. Lets see if our Alternative Film School can get create a industry ready editor for £10,000/$13,000 or less, deliver the same breadth of curriculum and achieve it all in a single year. In these next sections I’ll discuss the equipment you could buy to both learn to edit and set yourself up with as a working editor, the course curriculum and how to achieve it in today’s world, as well as thoughts on what a week in the Alt Film School might actually look like. Download the Alt Film School spreadsheet to see everything on one page. The beauty of spending all that tuition fee cash on actual equipment is that you’ll not only have the right gear to learn with, but you’ll also have everything you need to be a working editor too, at least from a hardware and software perspective. 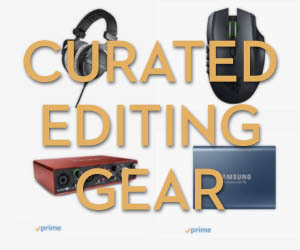 The following list comes to around £4000 and $5000, which will provide pretty much everything you’ll need for a decent home edit suite, the core of which will also double as a portable set up for on-set or client office work. Having reviewed quite a few bits of gear on the blog over the last few years here’s what I would recommend to get you set up. Click on the item to jump to the review post for more info. My general purchasing philosophy is buy the very best you can and keep it for as long as you can. Buy cheap, buy twice. One cost that I’ve left out of this list is the actual editing software itself. I’ll discuss this in more detail later on in the post, but if you spring for either Avid Media Composer or Adobe Creative Cloud it will be about £550/$600 a year. Less expensive options would be Final Cut Pro X for £229/$299, or DaVinci Resolve which is free! The core of this editing film school is Inside The Edit, an exemplary and exceptionally well executed online course in film editing. Costing just £400/$500 for the year this will provide you with a full curriculum of professional editing tutoring as well as 35 hours of documentary footage to edit with. You can also buy the Pro Drive for £300 more which includes high res version of the footage, production documents and Universal Production Music’s U-Drive with over 2000 tracks to use in your edit. The FAQ puts it fairly succinctly as to why Inside The Edit is a cut above the rest. There is no course currently on the market, either in book, web or film school form that teaches this level of detail in the craft of creative editing. Most editing courses available only teach you the technical aspects of editing and if they do dip into the craft of creative editing, it is only at a very basic level. 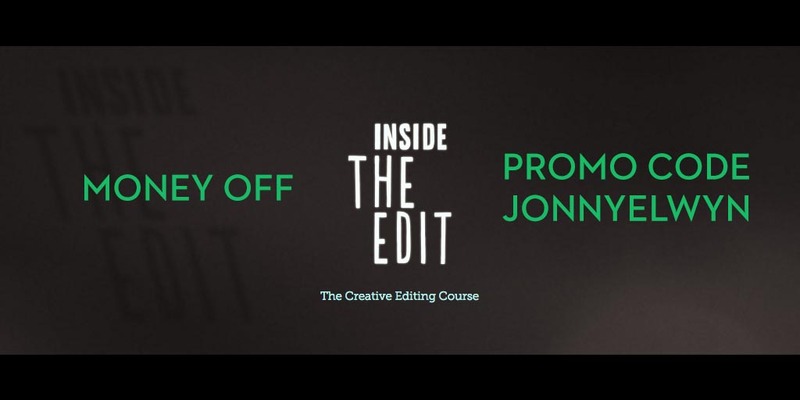 Not only does Inside The Edit teach you how to cut a high end broadcast documentary it is also taught by a highly sought after and respected editor. The best thing about the course is that it’s taught be a highly experienced broadcast TV editor, Paddy Bird who knows both the best working methodologies and the reality of the industry. It’s also incredibly in-depth and will take you many, many weeks to watch the tutorials, let alone work through the actual documentary edit yourself. Check out the course breakdown here, but an overview of the 14 chapters (each with multiple tutorials) covers the following topics. This is a lot more detailed editing tutoring than I ever learned at film school, and delivered by a much more experienced editor. Paddy is an excellent instructor and the course has been meticulously planned, produced and delivered. It’s pretty spectacular and especially for the price! Check out the example tutorial above to get a taster of the course, and if you like what you see check out my in-depth review here. This earlier review also features every Inside The Edit tutorial that’s been publicly released and a video chat with Paddy himself. Watching another editor at work is one of the best ways to glean valuable insights into their creative thought process, especially if they’re narrating their actions as they go, This Guy Edits is a real gem in this regard! Independent film editor Sven Pape has been editing his latest feature film and simultaneously sharing some of his editing sessions online. The channel is called This Guy Edits and you get to watch ‘this guy’ edit. It’s actually pretty brilliant and very impressive that he’s not only cutting a feature but creating a huge number of video tutorials as well. This first tutorial gives you a good sense of the ‘magic’ that you get watching a professional editor turn raw rushes into a dramatic and engaging scene, supported by Sven’s commentary of what he’s doing and why. This playlist includes all 15 in-depth editing sessions in which you get to watch over his shoulder. This playlist of 33 videos (so far) is Sven’s recommended running order for watching all of the TGE episodes, and is probably the best place to start if you’re new to the channel. Sven shares several different types of video, including editing tips, full-length editing sessions and a few vlog type episodes too. You can ask Sven questions that he might answer in future episode via the Facebook group or Twitter feed. This is essential viewing as part of this Alt-Film School! The second essential ingredient to learning to edit is editing as many projects as you can, and preferably a variety of projects too. That’s where a site like Editstock.com comes in. For some very reasonable prices you can download all of the rushes (raw footage) and production scripts for a variety of film projects to edit in your own time and in any software you choose. Edit Stocks catalogue is regularly updated and includes commercials, short films, documentaries, music videos and more. I’ve listed the four packages in the course curriculum which will give you 12 projects to edit, but more are available on the site. EditStock.com founder and professional editor Misha Tenenbaum was kind enough to offer my readers a 15% discount too! Another major part of improving as an editor is being able to get constructive and critical feedback on your edit as it evolves. Edit Stock has a $5 feedback service, in which you can upload a cut and get notes on your edit from a professional editor within 48 hours. And you can keep uploading new cuts to get more notes at no extra cost. That’s pretty incredible for $5! Highly experienced and multi-award winning Frontline editor Steve Audette shared this two part class on documentary editing some years back. It’s absolutely brilliant and packed with great insights for any editor. Since then Steve has continued to share his thoughts and expertise online and I’ve gathered the best of all that in the following posts. Take the time to walk through them and absorb all that Steve has to share on the craft of documentary editing. Getting proper feedback on your edits can be a mixed bag online. You can post your videos online and share them on Reddit, Facebook, Twitter etc. to gather a peer review from the general public, but the response you get isn’t like to be that committed or constructive. A better approach would be to try to line up a few trusted advisors by getting to know some editors online or in person – more on this later – and selectively asking them to watch a cut once in a while. Don’t badger them constantly and don’t expect a quick response, but a lot of editors do want to ‘give something back’ and are happy to help younger editors improve, when they can find the time. Sharing your video via a ‘client review service’ like Wipster, Frame io or any of the other services listed in this comparison post, so that feedback can be given more efficiently, and with frame-accuracy will make life easier for your editing mentors too. It would be great if sites like these sought to foster a community of supportive and knowledgable mentors who were willing to watch projects and use the service to feedback on the work. Hopefully we’ll see that in the future. The Art of Action Editing from Film Editing Pro is another valuable addition to the curriculum and again is affordably priced. This is a unique opportunity learn how to edit to a professional standard whilst cutting together a lengthy fight scene, filmed by a professional Hollywood crew. The course runs at just over 9 hours of training and is accompanied by 20 GB of HD dailies to cut your own version of the scene with, as well as a collection of nearly 900 sound files – including foley elements, sound effects and trailer hits. The Art of Action Editing has a nice blend of step-by-step instruction in the form of video tutorials and “homework” assignments in which you have to complete the next stage of the edit in your own time and in your own style. This helps you to not just watch someone else edit and think you’ve absorbed the information or understood the technique but you actually have to do the work to meaningfully progress to the next stage of the course and the next stage of polishing your fight scene. The benefit of learning from another instructor with completely differently course material is that you’ll pick up fresh approaches to the craft of editing and creative techniques from a different arena to the broadcast documentary editing of Inside The Edit. Check out my full review of Film Editing Pro’s course here. The only tricky part to incorporating The Art of Action Editing into the course curriculum is that it is only open for enrolment at certain times of the year. But given that this Alt Film School is a year long course, you should hit an opening at some point. Sign up to the newsletter to be kept informed and get access to a free 40 minute taster course called Film Editing Mastery. When it comes to learning the software (or pretty much anything on any topic) for the NLE of your choice it’s hard to beat Lynda.com for the sheer magnitude of resources $300 a year puts at your finger tips. This will be your go-to place (other than blogs, YouTube, Google etc.) for comprehensive set by step, push this, click that training. The more time you spend editing, the more you’ll get to know the ins and outs of the software, but to really get good you need to get fast. That means learning the keyboard shortcuts, learning how to work through your post production tasks in the best way possible, with the software at hand. This means learning how to do things properly and efficiently. There’s no point learning how to perform a function on a single clip, if you don’t also learn that you can perform that exact same function to all the selected clips in one click too. You’ll waste too much time doing things manually just because you didn’t learn there was a better way and go deep enough with the software. These previous posts list some of the best courses on lynda.com for film editors from a technical standpoint but the following courses are also well worth watching. I’ll include some other specific titles in the Theory part of the curriculum breakdown too. Lynda.com also has it’s own Video Editor Learning Path, which includes some of the same tutorials I’ve pulled out. If you were taking this Alternative Film School I would probably suggest trying to watch at least one course from Lynda.com a week, to add sufficient breadth to your creative education. Watching courses on financial budgeting, pitching projects, audio mixing and editing, colour correction and other related topics, would be time considerably well spent. Which NLE should I learn? The short answer is as many as you can, over time. The practical answer is one and stick with it. The traditional incumbent system is Avid Media Composer, which will set you back $50 a month. This is what has been the main-stay of broadcast and feature film production for as long as anyone can remember, and doesn’t seem to be going away any time soon. Adobe Creative Cloud represents much better value for money, and Adobe Premiere Pro is a (I think) easier program to learn. It’s the same price as Avid a month at $50, but instead of a single program you get access to 20+ creative applications including After Effects, Photoshop, Media Encoder, Audition, Illustrator, In Design and many more. If you choose to you can also use their portfolio website service, premium fonts and 20GB of cloud storage. If money is a real challenge then download DaVinci Resolve. It’s free, it’s very good and as a competitive NLE, it’s getting better all the time. It’s very hard to say which NLE you ‘should’ learn – Avid is likely to be the dominant system, still, for quite some time to come, and both Inside The Edit and Film Editing Pro are demonstrated in Avid. But when it comes to bang for buck, Adobe’s Creative Cloud is definitely the way to go. Ultimately whichever you learn, you’ll likely feel the most comfortable in going forward. To be the most ‘freelance ready’ I would say learn Avid Media Composer and Adobe Premiere Pro, at least in my experience. 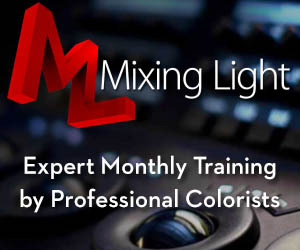 In my course shopping list I’ve put $50/month x 12 for the NLE cost and I’ll leave it up to you. There’s still head room in the budget to include both, but you’ll be doubling up on your learning and it might get confusing. Watch and watch a lot. One of the things that so often astounds me when I chat to younger editors is that they so often have not seen many of the ‘classic’ movies that have been produced in the past five or six decades. They may have seen the latest episode of Game of Thrones, but they might not have seen Goodfellas, Apocalypse Now or The Shawshank Redemption. Watching a lot of different kinds of films was a big part of my youth and my time at film school. It helps to broaden your creative horizons and your understanding of what’s possible in the world of cinema and seeing how it’s evolved over time. Here are a couple of watch lists to help get you started, with a sneak peak at their top five in each list. Interviewing Martin Scorsese is like taking a master class in film. Fast Company’s four-hour interview with the director for the December-January cover story was ostensibly about his career, and how he had been able to stay so creative through years of battling studios. But theHugo director punctuated everything he said with references to movies: 85 of them, in fact, all listed below. Lists like these ones tend to have a tremendous focus on Hollywood feature films for the most part, which misses out on much of the great television and documentary production, so try to watch some films at random from all of the lists. Especially any lists of world cinema and documentaries. Google will have further suggestions! TV series well worth watching (from my perspective) would also include The West Wing, Sopranos, Band of Brothers, Breaking Bad, The Office (UK Original) and many more besides. Just watch as much as you can! In the future it will be interesting to see how the continued rise of original content from Amazon and Netflix shape the tastes and viewing habits of present day, and future, editors. As a last point I would also suggest trying to regularly dip into Vimeo.com staff picks for even more filmmaking variety and creativity. Also watch film theory video essays online, like the one at the top of this section from Every Frame a Painting’s Tony Zhou, or this one (above) from The Royal Ocean Film Society on David Lean’s use of scene transitions. Then go watch some of the film’s they reference. The reason to watch video essays like these, other than to learn from them, is to observe how they critique and dissect a film and what it’s doing. This will help turn all that film watching into film learning if you apply the same techniques to what you are watching. I’ve rounded up the best of Every Frame a Painting in this previous post (along with some other goodies) and more Filmmaking Video Essays in this post. I’ve reviewed dozens and dozens of books on the blog over the years (check out the full list here) but here are a handful that would prove useful or could be considered as part of a required reading* list on the art and craft of film editing. As with watching a lot of films, reading about the process, craft and mechanics of filmmaking and film editing is a vital component of Film School life. The other essential and definitely required reading would be every single Art of The Cut interview from editor Steve Hullfish. Steve has interviewed dozen’s of the industries best editors and assistants working today and the articles are chock full of insights on the art of crafting a film, building a reliable workflow and much much more. Read them all! Twain Richardson’s Frame of Reference is also a fantastic resource to learn from editors at all stages of their careers and with a diverse range of careers, and is another extensive library of interviews with editors. Taking some time to learn where editing has come from and some of the classic editing concepts will provide a huge boost to your understanding of and ability to create polished edits. The edit is often called the ‘final re-write’ and the parallels between writing and editing are numerous. Here is how I kicked off my review of this excellent course on screenwriting and storytelling that is well worth any editor watching. It’s a very rare thing to be able to describe something as a masterclass without any hint of hyperbole. But in Aaron Sorkin Teaches Screenwriting from Masterclass.com that is exactly what you have. A seasoned artist at the top of their game, sharing their hard won expertise and insight directly down the lens straight to your brain. We’re going to talk about Intention and Obstacle. Which is the most important thing in drama, without that you’re screwed blue. Without strong clear intention and a formidable obstacle you don’t have drama. Creating compelling engaging narratives, whether through documentary or fiction is the editor’s main responsibility. A course like this will provide you with an excellent foundation in story structure and construction. Check out my full review here. I also recently reviewed the excellent Masterclass on film scoring from Hans Zimmer in this extensive post. Why should an editor take this class too? In the post I share five (of the many!) things I learned as an editor taking this class, as part of the rationale for laying down a meagre $90 to learn from a true master of modern cinema! Hans would argue that temp music is ruining creativity and it’s ruining our films. Successful temp can stop any forward motion and creativity and you just have to fight it. I’m recommending to do what we’ve been doing this more and more, which is not to use temp music at all. If you can start early enough and you have a good music editor and you can work hand in hand, there’s no real reason to use temp music at all. Masterclass.com All-Access Pass Review – I’ve also reviewed the compelling and growing library of Masterclass.com courses in this extensive post. No Film School would be complete without at least an attempt at preparing you to enter the industry. After all, what good is investing a year of your life (or more!) and thousands of pounds/dollars if you don’t then make it into the industry in some form or other. The key ingredients for getting a job would obviously be – finding someone to hire you, demonstrating you have the required skills and having the business savvy to manage your affairs such that you can stay in the game over the long haul. All of the editing courses and resources I’ve listed allow you to use your final cuts in your portfolio, which means that not only are you learning how to edit but you are also building a reel of work that shows you know how to edit. That said, there’s a big difference between editing by yourself, at your own pace at home and sitting in an expensive edit suite with a client watching over your shoulder and the clock ticking. But the only way to learn to swim is to get in the water! So, how do you meet editors and post-houses to learn from and work for? First of all you need to be where the work is. One good thing about film school is that if often forces you to move cities and re-locate to where the epicentres of the industry are located too. Once I arrived in London as a student, I never left because I felt that if I went back home and later tried to ‘re-enter’ the city, it would be harder than if I simply stuck it out. Put yourself in the place of opportunity. So in our Alt-Film School, once you feel your skills and reel are up to a sufficient standard, think seriously about the level of industry around you and whether there’s enough opportunity to help you get a foot in the door. If not, maybe it’s time to consider moving to where the action is. This is obviously expensive and life changing so do your homework about local opportunities first. Given that the Alt-Film School has saved you so much money over traditional film school, hopefully this will also allow you some leeway when it comes to gain work experience by working for free, or very little. To me the trade off between a short period of free work and a new connection, credit or potential job offer is well worth it. But I would caution against working for any post-houses that have a revolving door of ‘interns’ who are essentially free labour. If you suspect this is the case, get out as soon as you can and try else where. If you decide to get a job as a runner and work your way up, then be sure you pick the right ladder (or post-house) so that all those hours of staying late to be a team player and help out result in promotions and opportunities. You can’t take that stored up good will with you, if you move companies. So how do you go about making those initial industry contacts? Two ways – online and in person. Hopefully one leading to the other. Everyone’s path in is different and different strokes work for different boats. When I interviewed second assistant editor Rob Sealey (now working on Star Wars: Rogue One!) he shared his method of breaking into the industry. What was your strategy to get into the film industry? When getting started I began looking for jobs as a runner in a post production house as I knew that editing and post production was what I was most interested in. Once I was into a postproduction house I met assistants from a TV background who had worked in features. From their experience they suggested that I go on IMDB pro and email as many Editors, First Assistants, Second Assistants and Post Production Supervisors as possible. I have heard a lot of people say they are worried about going freelance. My advice to that is don’t worry, get yourself out there. Being freelance is probably the best move I made for my career. From that point onwards I sent a personalized email to each person containing my CV out to about 20/30 people a day. I looked on IMDB for people on every film I had watched. It was only a matter of time before I got a positive response. I got responses from nearly every person that I emailed (even if they couldn’t help me out) and then got the phone call about World War Z after a month of emailing! How did you get your first job as an apprentice editor? After emailing numerous assistants, my CV did the rounds and I got the phone call aboutWorld War Z. I went in for an interview on the Friday afternoon and started in my new job on the Monday after that weekend! Things move very quickly in the film industry so be prepared to up and go. Another way to meet working editors, assistants and other post professionals is at industry events and user group meet ups in your city. Find groups like LACPUG, Editor’s Lounge, Blue Collar Post Collective, Sprocket Rocket, subscribe to their newsletters or follow them on Facebook and Twitter to stay in the loop. Then endeavour to make it along to as many events in person as you can. Chat to people and be interested in them and try to exchange business cards (you’ll have some of them right). You’ll also be engaging with a wider post production community which will hopefully be a further source of advice and opportunity. This previous post has some great videos from London based editor meet up Sprocket Rocket and The Editor’s Lounge in LA, with plenty of wisdom on getting into the industry. Also invest the time and money required to attend much larger industry events like Edit Fest in London and LA, NAB in Las Vegas, BVE in London and IBC in Amsterdam. But if you do this, try to line up some ‘coffee dates’ prior to it to be sure you solidify online connections into personal ones. Building a portfolio on a simple website is actually very easy. I use TSOHost for my hosting and domain needs, they’re provide excellent customer service and it’s very affordably priced. 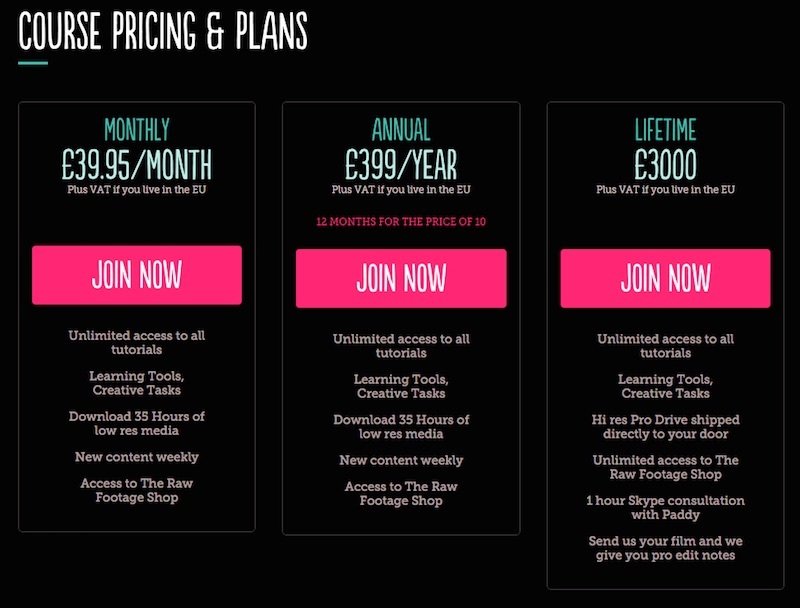 Running your own portfolio website could cost as little as £15/$20 a year. Don’t spring for something like Squarespace which will cost you as much per month! A portfolio website is the easiest way to let potential employers see that you can edit, by making it very easy for them to see you work. Add a contact page, downloadable CV and that’s all you need. Make the domain name something easy to remember and find. PurplePostMonkeyHero might sound cool (?) but it won’t be as easy to remember as editorbobsmith.com. By editing the projects in this curriculum from Inside The Edit, Film Editing Pro, Editstock.com and others, you’ll have several pieces of work to put into your portfolio and demonstrate that you can actually edit. If you also picked up some smaller jobs during your year or training or created something during your work experience, add that in too. I’ve been a freelance film editor for 10 years now and I’ve loved it. I love the flexibility of being freelance, the variety of the clients and filmmakers I get to collaborate with and that it frees me up to write posts like this one. 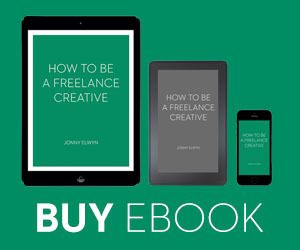 A while back I put pen to paper and created a 100 page ebook on freelancing. It’s everything I know about being a successful freelance creative based on a decade of experience – both good and bad. How To Be a Freelance Creative covers all the important topics like how to manage your money, find clients, move up and get better jobs etc. It’s helped me and I hope it will help you too. What might it look like to actually try to do this course week by week for year? Well, that’s up to you but to give a flavour of what I think it might be here is an imaginary week in the life of an Alt-Film School student. Monday: – Work through a chapter of Inside The Edit in the morning and afternoon. Watch a film or TV show from the viewing list in the evening. Tuesday – Research the editing and editor of the film/show you watched last night and make notes on the techniques that particularly stood out to you. In the afternoon continue with Inside the Edit. Wednesday – Edit a short project from Editstock.com all day. In the evening attend an industry event. Thursday – Continue editing the Editstock.com project. If you finish it, submit it online and share it with editing mentors for feedback. Friday – Finish up the Editstock.com project and make the suggested changes. If time, continue with Inside The Edit. Saturday – Spend a hour or two reading an editing theory book. Make notes on techniques and ideas. In the evening watch a film or TV show from the viewing list. Taking an self-structured course like this would require quite a bit of discipline and so creating a calendar plan would probably be helpful to provide some guiding structure. You might want to take a solid few weeks to work through something like The Art of Action Editing in one go, or step out of your learning for a week or two to gain some work experience full time. All in all there should be plenty to do with all the editing, tutorials, reading, watching and meetings. So after all that, is anyone actually going to do this?! Well, if I were you, I’d definitely test it out before I tried it for real. Assuming you already own a computer just download the free trial of your editing software of choice, take Lynda.com’s free 10 day trial and buy 1 month of Inside The Edit and Netflix. For under £50/$50 you could spend a week or two checking out whether this is a realistic avenue for you towards pursuing a career in film editing. Phew! You made it to the end, now go edit and good luck. When I ask successful film editors what they advise people study if they must go to university, they usually say English Literature. Interesting, probably a good broad foundation for many things. I’ve never had anyone ask me if I have a degree in film. Portfolio always seems to be what people want to see. writing and editing are synonymous. Many editors that I’ve interviewed have said that. Also on the list would be psychology. At least one major film editor has a psychology degree. Also, Jonny, I would suggest that you change the link for the 75 best edited films to https://www.editorsguild.com/magazine.cfm?ArticleID=1101. These are the guys that wrote and published the list. Why send someone to a URL that simply ripped them off? Plus, when I clicked the link, it gave me a 404 error. I found the original article by googling the link name. Hey Steve, thanks for sharing your thoughts! I’ve also updated the link to point to the original post. Thank you so much for this. There are so many wonderful opportunities to learn that it’s hard to set up a structured plan, I very much appreciate you doing this especially from the perspective of a successful freelance editor. Something I hope to become!